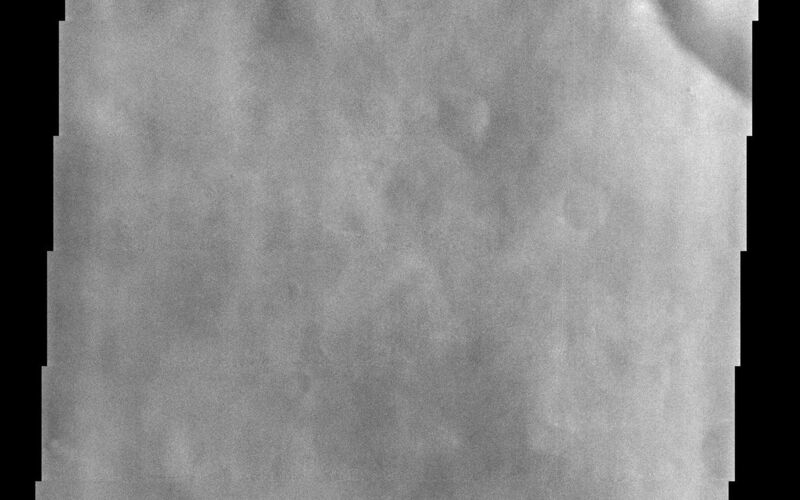 This image, centered near 49.7 N and 43.0 W (317.0 E), displays splotchy water ice clouds that obscure the surface. Most of Mars was in a relatively clear period when this image was acquired, which is why many of the other THEMIS images acquired during the same period do not have obvious signs of atmospheric dust or water ice clouds. This image is far enough north to catch the edge of the north polar hood that develops during the northern winter. This is a cap of water ice and CO2 ice clouds that form over the Martian north pole. Mars has a number of interesting atmospheric phenomena which THEMIS will be able to view in addition to water ice clouds, including dust devils, dust storms, and tracking atmospheric temperatures with the infrared camera. Anyone who's been on an airplane in a storm knows how clouds on Earth can block the view below. 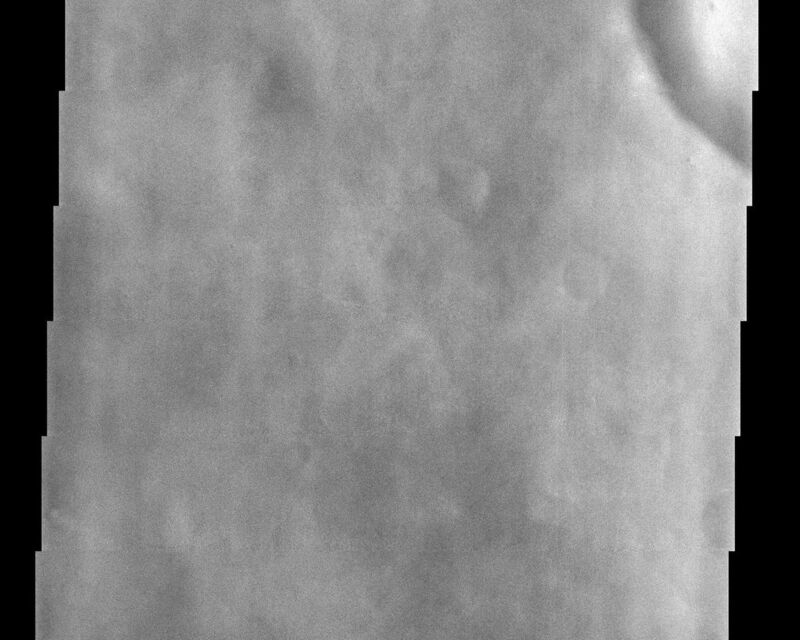 The thin water ice clouds on Mars might make things slightly blurry, but at least we can still see the surface. While the surface features may not be as clear in this image, it's actually kind of fascinating to see clouds at work, because we can get a sense of how the north pole on Mars influences the weather and the climate. In this image, the north pole is responsible for the presence of the clouds. Made of water ice and carbon dioxide, these clouds "mist out" in a atmospheric "hood" that caps the surface during the northern Martian winter, hiding it from full view of eager observers here on Earth.